Google announced new solutions for machine learning at its Google Cloud Next 2018 conference happening in San Francisco this week. The company revealed BigQuery ML, AIY Edge TPU Dev Board, and AIY Edge TPU Accelerator. 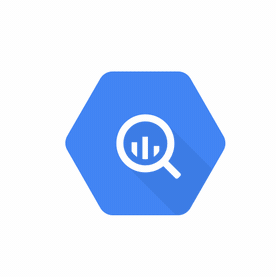 BigQuery ML is a new capability inside the Google BigQuery solution, which provides interactive analysis of large datasets in order to share insights and make better decisions. The newly added feature is designed to enable data scientists and analysis to build and deploy machine learning models. The newly announced AIY Edge TPU Dev Board, and AIY Edge TPU Accelerator are new devices designed to help engineers build on-device machine learning. The devices are powered by the company’s Edge TPU and mark a step towards expanding AIY, or do it yourself artificial intelligence, into a platform. The AIY Edge TPU Dev Board enables developers to prototype embedded systems that demand machine learning inferencing. AIY Edge TPU Accelerator is a neural network coprocessor for existing systems. “On-device ML is still in its early days, and we’re excited to see how these two products can be applied to solve real world problems — such as increasing manufacturing equipment reliability, detecting quality control issues in products, tracking retail foot-traffic, building adaptive automotive sensing systems, and more applications that haven’t been imagined yet,” Billy Rutledge, director of AIY projects at Google, wrote in a post.